It was standing room only Tuesday in Humanities 587 as SF State’s history department celebrated Constitution Day by hosting a panel about government surveillance and citizens’ constitutional rights featuring Daniel Ellsberg, the former military analyst responsible for leaking the Pentagon Papers which exposed government deception during the Vietnam War. The panel, called “Civil Liberties and National Security in the Age of Big Data,” was presented by the history department and also featured University professors David Fischer and Sarah Crabtree and American Civil Liberties Union attorney Matt Cagle. 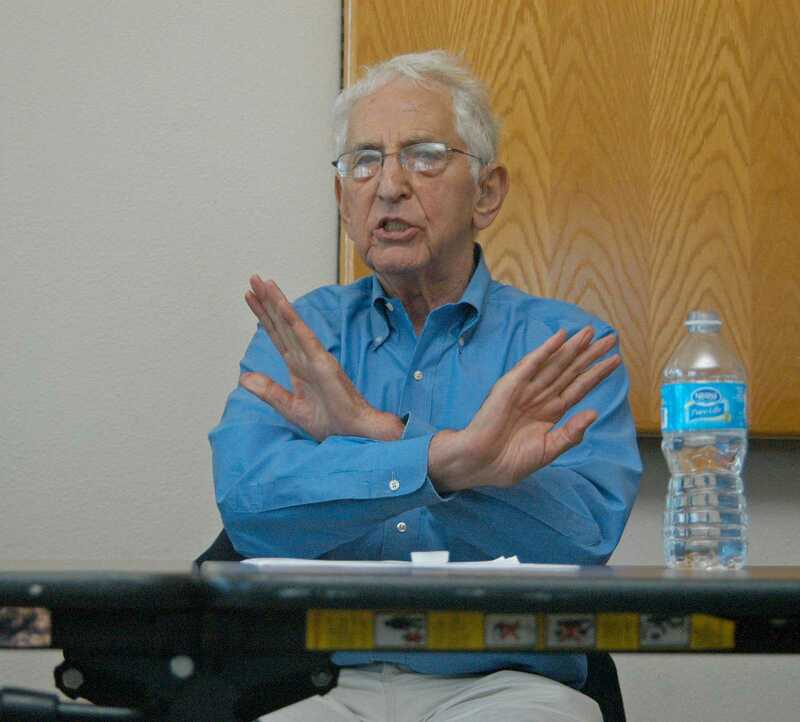 Ellsberg credited whistleblowers who reveal government wrongdoing and deception, like Edward Snowden who recently exposed government surveillance of citizens, as being true supporters of the Constitution for revealing government activity that is against the same Constitution those officials swore to protect. He also criticized American presidents, who wage war without officially declaring and invades citizens’ privacy through illegal means. Ellsberg said he agrees with lawyers who argue that whistleblower’s First Amendment rights are being violated by the Espionage Act. Professor David Fischer, a former U.S. diplomat, disagreed with Ellsberg, saying he believes what Snowden’s leak of classified documents was morally wrong, and would like to see him returned to the US to face trial. However, he said he praises Snowden for sparking a discussion about privacy rights. “We have to constantly guard against misuse of what are incredibly powerful tools,” Fischer said.